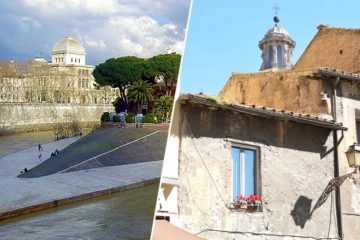 Explore the icon of Rome and the heart of the Eternal City on this immersive, 3-hour guided tour in English. 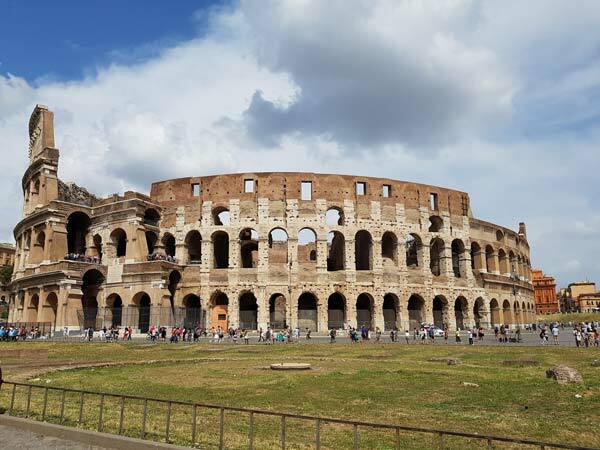 Skip the line to the Colosseum, uncover the building techniques and history as your guide takes you through the arches, corridors and different levels of this wonder of Roman engineering. 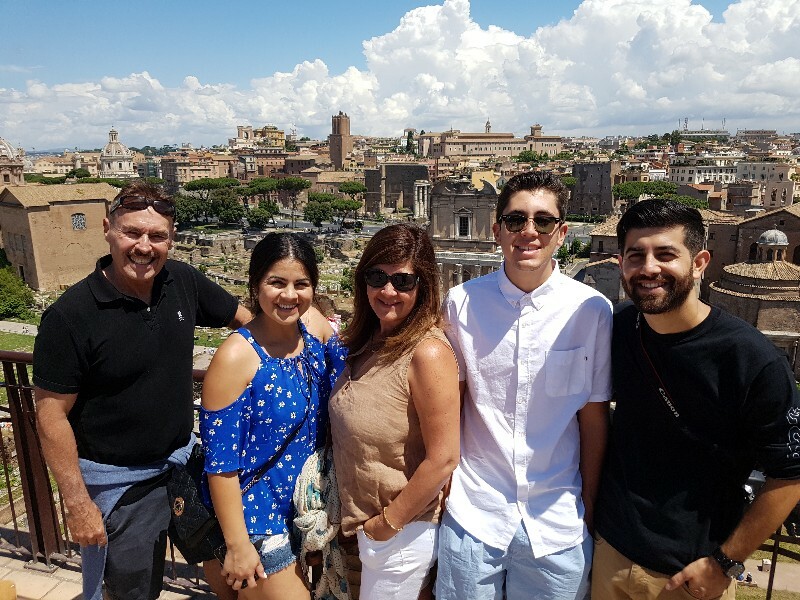 Wander the vast ruins of the Roman Forum and experience the greatness of the Palatine Hill. Your group will not be larger than 10 people, and the headsets will allow you to hear the guide clearly. Two time slots are available for this guided tour: 8:45am & 1:50pm, please specify in the comment box at the checkout AM or PM. 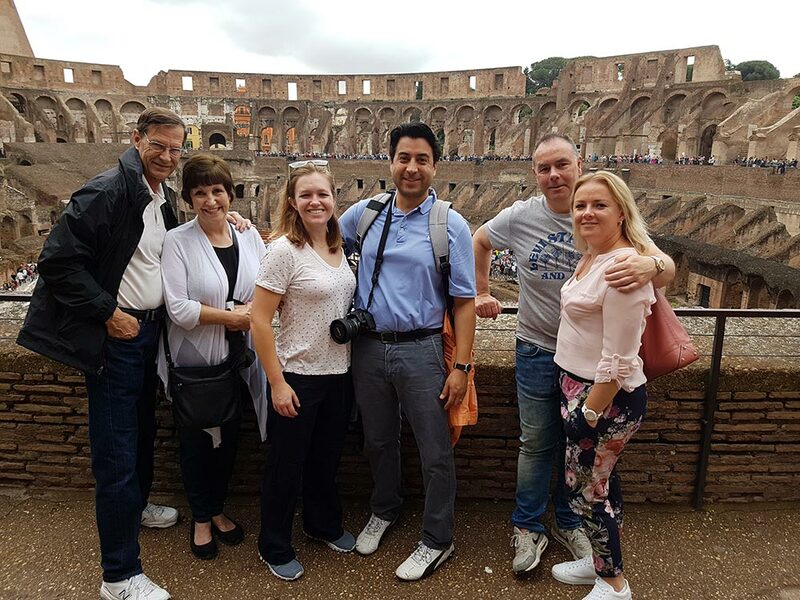 On this 3-hour guided tour, we explore three major sites: Colosseum, Roman Forum and The Palatine Hill. 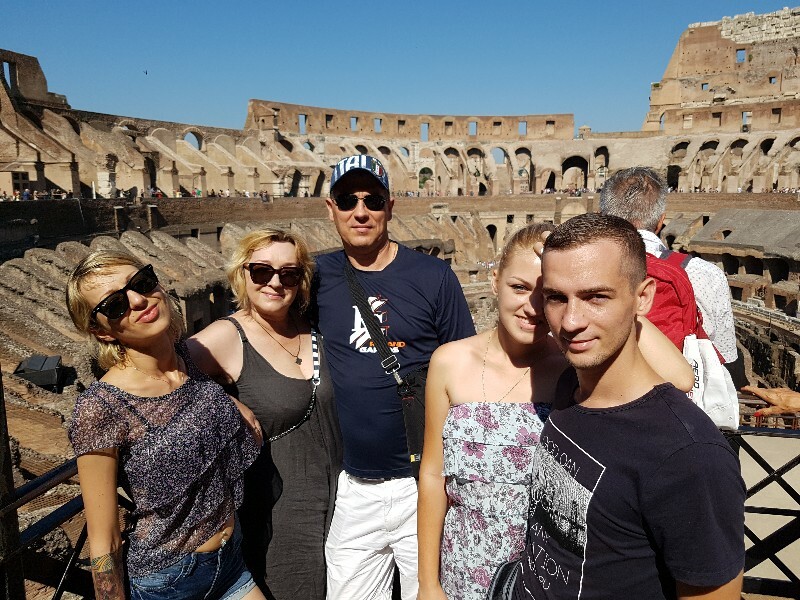 You will meet your guide at a very convenient meeting point and after check-in and the sound-check (we use headsets for groups of 8 people or more) you will skip the line and enter the ancient amphitheater we call Colosseum. 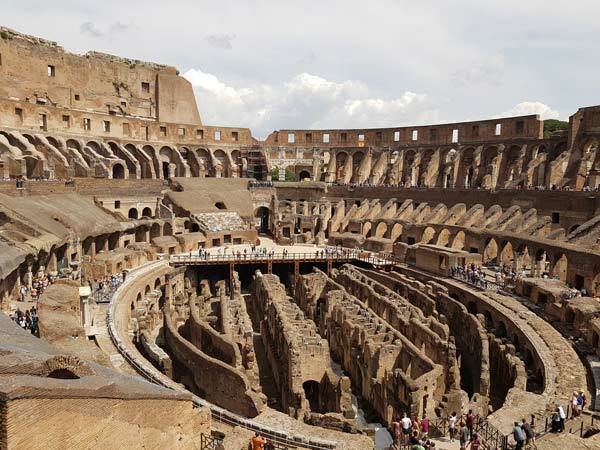 You will explore all available levels of the Colosseum with an expert guide, and have ample free time to use the facilities, take photos and visit the gift-shop. From the Colosseum you will head off to the second venue: Roman Forum. Once a busy market place, Roman Forum offers a unique insight into the lives of the Elite of ancient Rome. This is the place where the courthouse, market and major temples once stood. 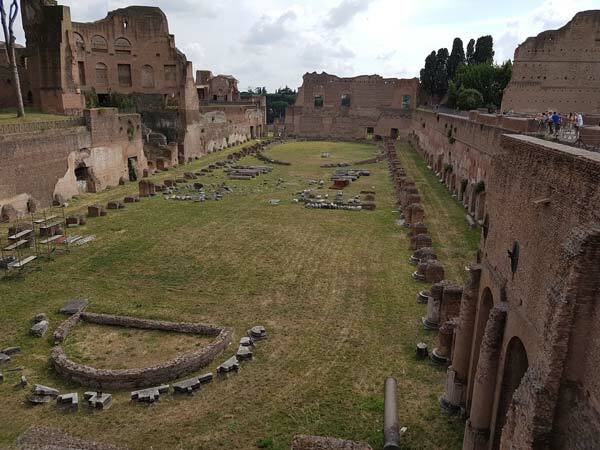 The third venue is the Palatine Hill, a place where the emperors and the powerful Roman families had their enormous villas and palaces. 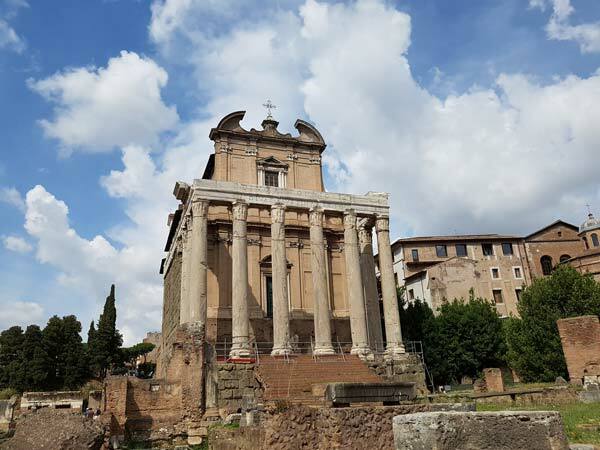 The magnitude of the ruins on the Palatine Hill will leave you speechless and your guide will paint a vivid picture of the glorious past of Rome and Roman Empire. 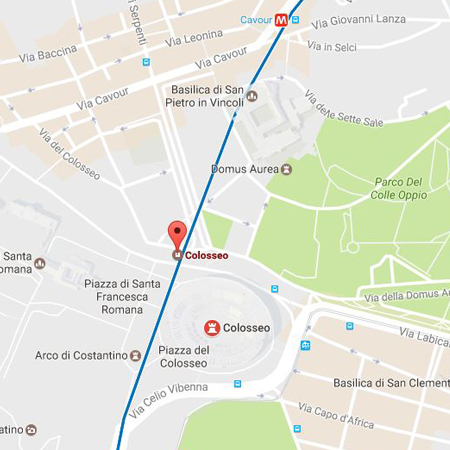 If you wish to skip the line and have a more relaxed and personal experience, this guided tour of Colosseum is for you! 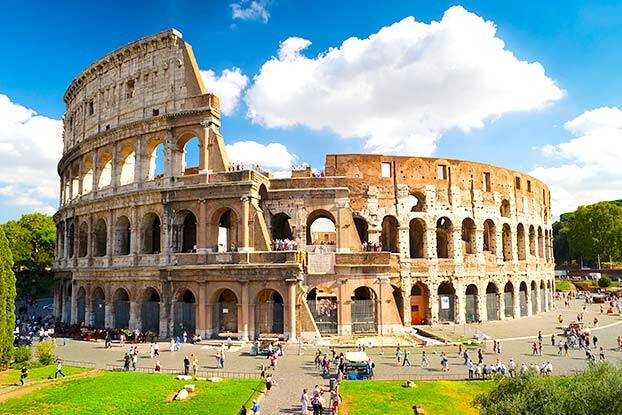 Click here for the Top Floors Of Colosseum & Ancient Rome Tour. 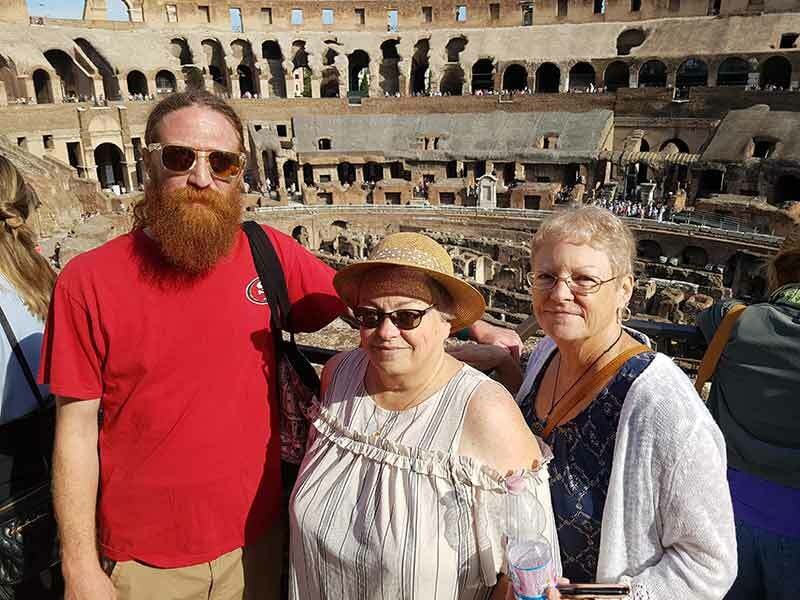 We took 2 tours with More of Rome: Coliseum and Sunrise morning tour. Absolutely loved the guides and the customer service. Will recommend! 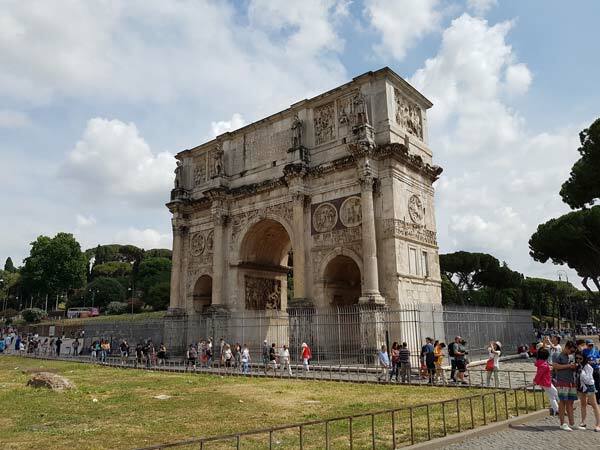 I started to plan our Italian holiday long in advance, I really wanted my family to experience all these wonderful Roman monuments the best way possible. I knew that my large family (5 adults and 3 kids) would never keep up with a large group, so I opted for MOR, because they advertised small groups and skip the line. My family absolutely loved it, everything from A to Z was done in a very professional manner. The guide spoke very good English, was friendly, and kept the kids captivated with his stories. 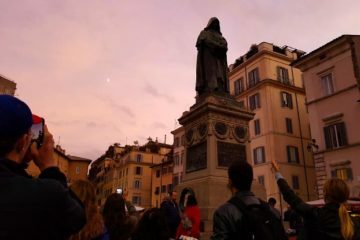 Some of us will never be able to return to Rome and thanks to More of Rome we really fulfilled our life-long dream. Great tour, our guide Mario spoke perfect English, was very personable and attentive. P.S. Go for the morning option, it’s really hot in the afternoon. Maria was a great guide! This tour was unique, we have taken at least ten other guided tours, but this one really stood out. Our guide, Tatiana, was like a walking encyclopedia, there wasn’t a question she couldn’t answer. Anecdotes, little nuggets that you can’t find in the guide books and fun facts, really added so much to the experience. Maria was very knowledgeable and professional. Her English was clear with a very charming italian accent which made the tour more authentic. If you book this tour ask to have her as your guide. 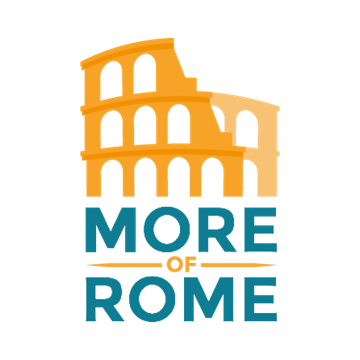 We left Rome much richer, culturally, thanks to MOR. The tour of Coliseum was the highlight of our trip. 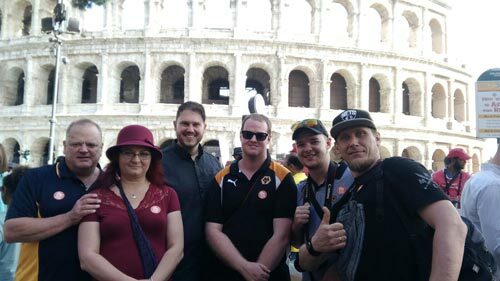 We have been to colosseum before, but this was the best tour we had ever taken by far! We learned so much from our guide Ricardo, he really took his time to explain everything and gave us plenty of time to soak it in. Colosseum was really busy and the line was half of mile long, but we skipped it (as promised) and were very happy we booked with MOR. The group was small, headsets worked fine and the guide was good and spoke perfect English. Great tour and the guide did an amazing job. 4 stars because the place was extremely packed which ruined the magic for some of us, but overall excellent experience. Great tour, the groups are small it’s like a private tour. loved it! We booked two tours with MOR and enjoyed them both. The guides were full of passion and knowledge. 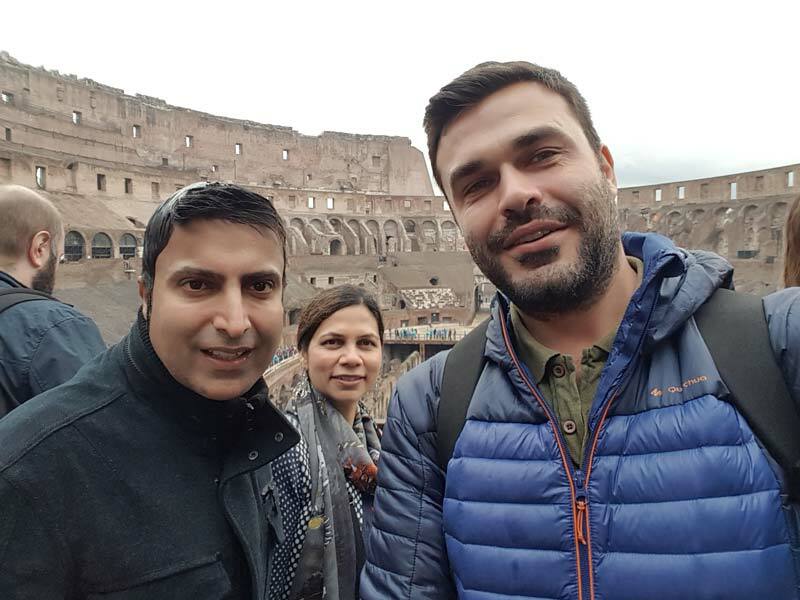 The tour of Colosseum was our favorite by far, walking the ancient ruins of forum and palatine hill and seeing the icon of ancient world-Colosseum was an unforgettable experience for us. We even received little gifts at the end of the tour. We will use them again in the future. 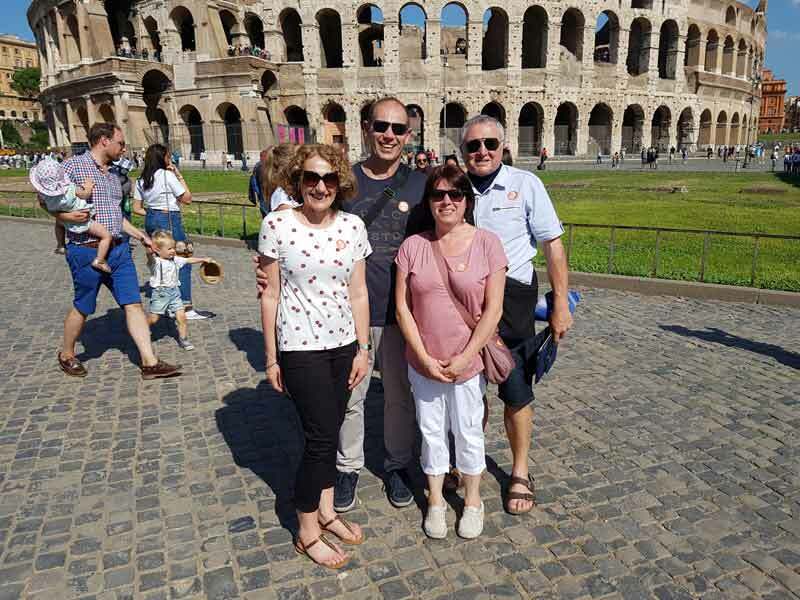 We did Colosseum Tour with Roman Forum and Palatine Hill. Our tour guide Dimitri was absolutely brilliant. Our 1st surprise was that on the day it was just me and my husband. So we had Dimitri all to ourselves. He shared some lesser known facts with us about the Colosseum, gladiators and Roman culture. It was a rainy day but his stories and an engaging style kept us hooked. 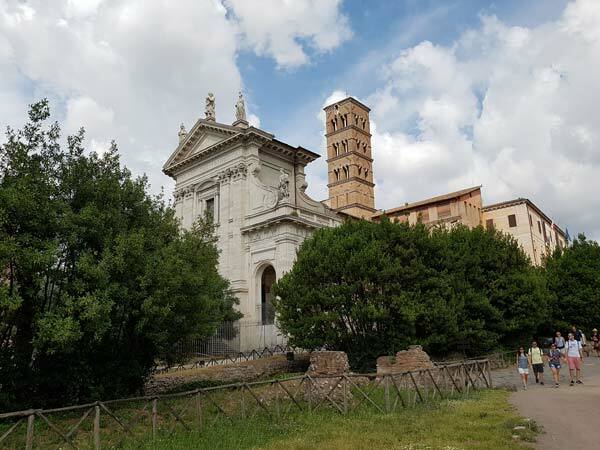 The walk around the Roman Forum and Palatine Hill was full of historical facts and stories. Throughly enjoy the tour and would highly recommend booking with this company. 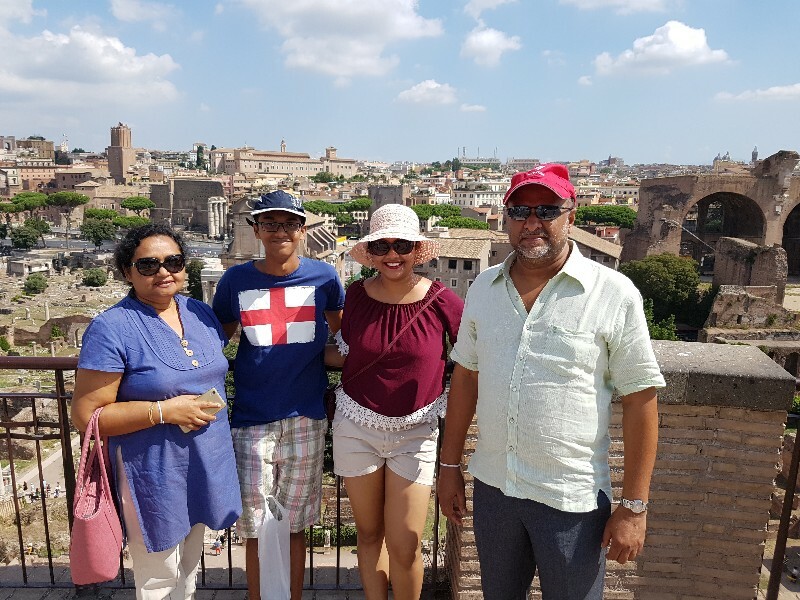 Our family had a wonderful experince with this tour. 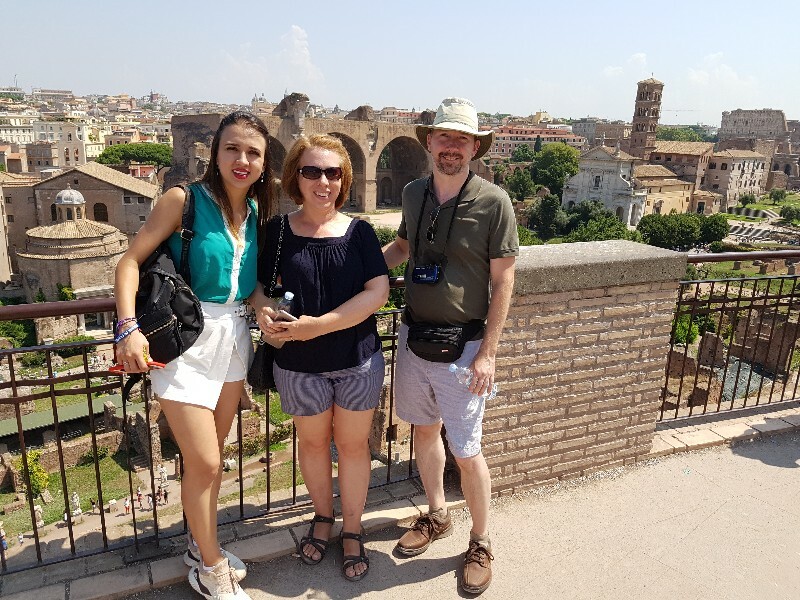 The guide provided true insights of the Colosseo, Roman Forum and Palatine Hill. 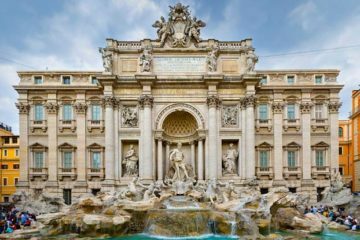 I would not hesitate to take any tour offered by More of Rome. 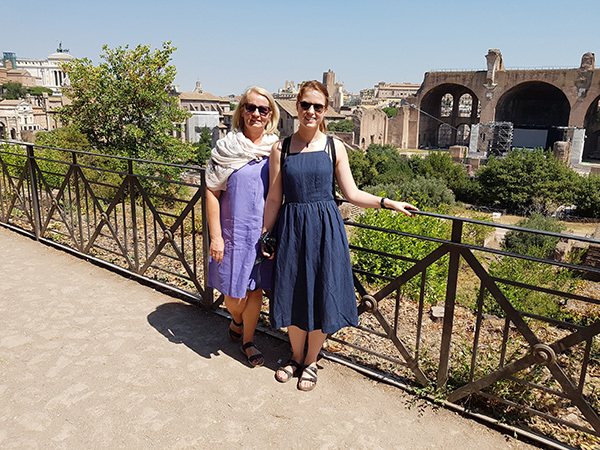 We did this tour Colosseum , Roman Forum and Palatine Hill. Very organized . Nine in our group with a great guide. The pace was ideal , kept our family of 6 interested and never bored. 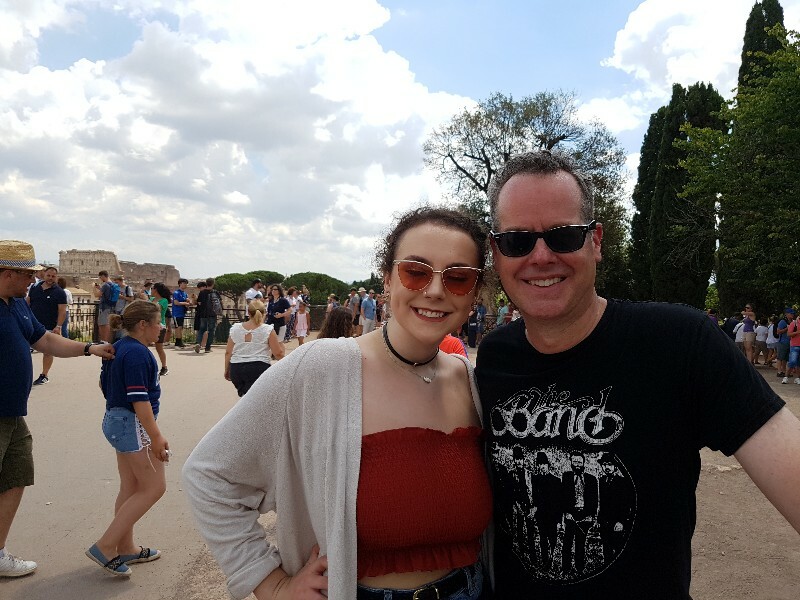 A magical experience in Rome! Lesley J. and John F.
It was my first time in Rome. I took “Colosseum Tour with Roman Forum and Palatine Hill” .and “Underground Rome Crypts Graves and Catacombs” both guides were AMAZING. 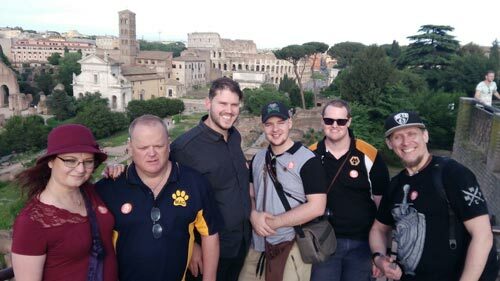 We did try the services of another tour agency and i can say that MORE OF ROME tours are SUPERIOR! 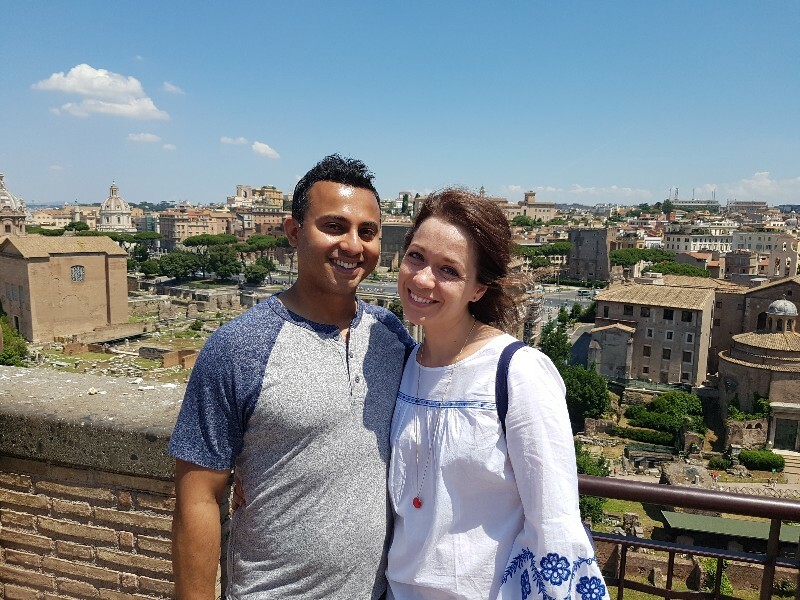 My boyfriend and I Took this tour Colosseum Tour with Roman Forum and Palatine Hill,and strongly recommended it. We learned so much thanks to ou guide Dimitri and he clearde up all the misinformation we saw in the movies.A big PLUS : he really took care of us. It was really hot and he kept us in the shade and told us to refill our bottles. We took this tour in a very hot day and our guide was very helpfulwith us and kept thhe group moving.He wasknowledgeble, interesting and engaging. 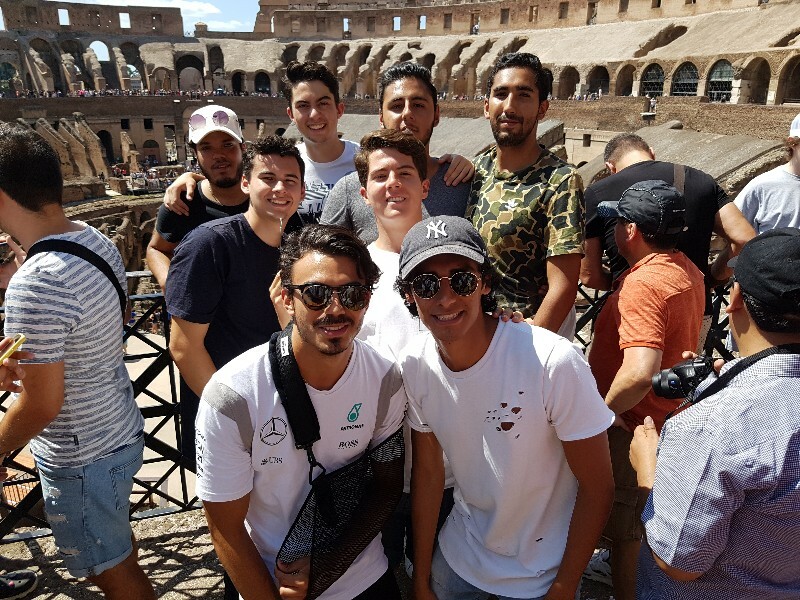 We would highly reccomend this tour and More of Rome. It would not have been the same without more of rome! I enjoyed a 3 hour tour with my friends of the Colosseum and Ancient City. Our guide was very knowledgeable and entertaining. The taxi driver had decided to take us on a “scenic route” and we were late to the meeting place. We saw the coordinator and he was really helpful, he called the office for us and even though we couldn’t join the group, Emanuela from customer care was super polite and booked us for next day. The next day we showed up on time, the tour was well organised and the guide was knowledgeable and fun to listen to. 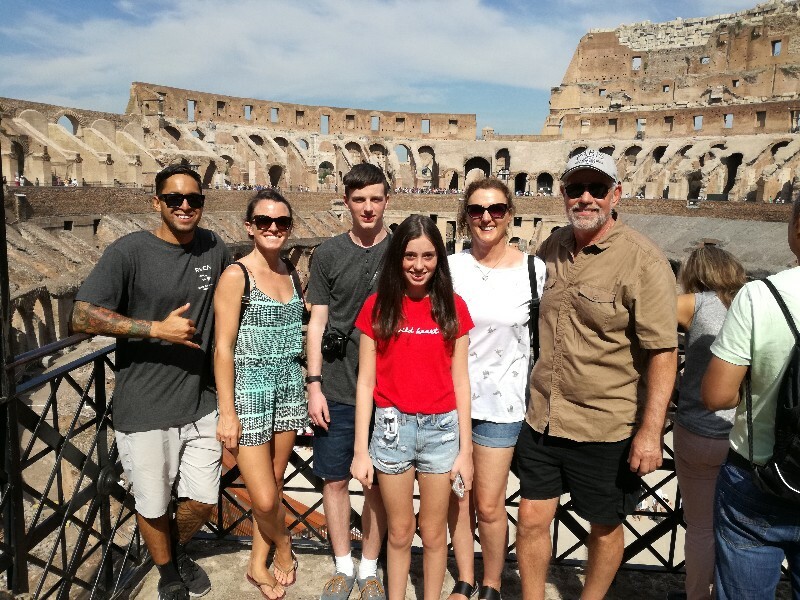 This was our first tour in Rome and I can imagine that many tourists just like us start with the coliseum. After researching and shopping around we found this agency and decided to give them a try. And we made the right choice. Customer service was great, the coordinator was there on time and was polite and the guide super professional and knowledgeable. Great tour, our guide really gave us an insight into the life in ancient Roma. Great tour great company great guide. Our guide Paul was great. 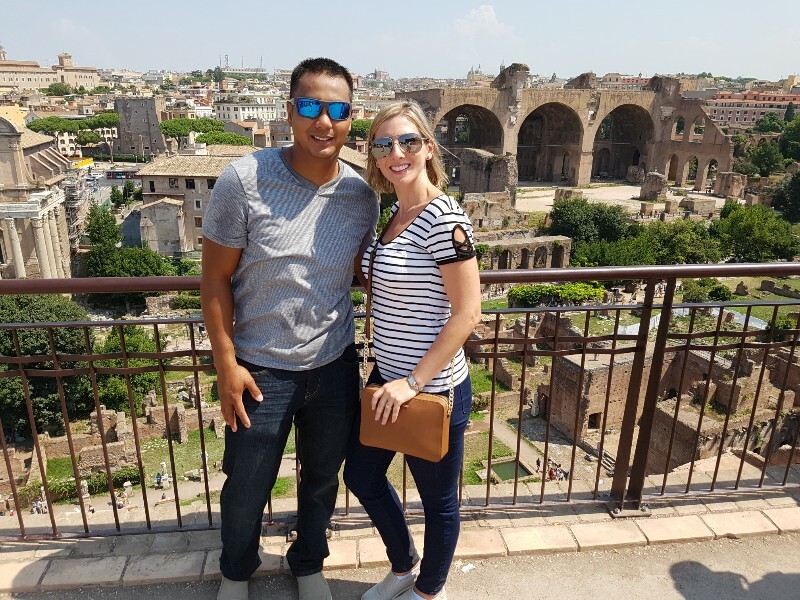 Coliseum was first on our list of things to see and we are glad we did it with more of rome.